Animation – Ben Boyle lives here! I’m still studying at Animation Mentor, this term I’m taking the Creature Animation: Fight or Flight class. This is a great class. Fantastic opportunity to study a range of animals and learn some different body mechanics! I’ve learned things about birds, bats, hippos, frogs, crocodiles, turtles, frogs, snakes, lizards and frogs that are amazing. Those are stories for another day. One interesting technical aspect to this class is animating within a live action “plate”. This is a quick post to describe what that’s like. A nice coastline vista (I think it’s Hawaii, not sure). The live footage is setup as an image plane in Maya and renders in the shot_cam. How do you place a character in the scene and have them look like they belong there? That’s the matchmove magic. 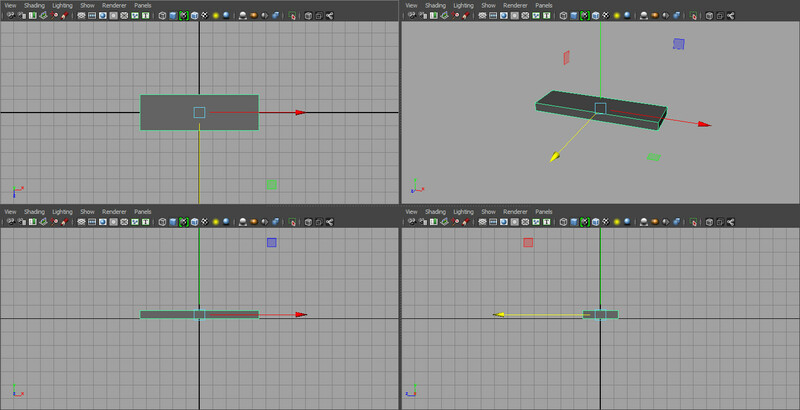 Matchmove was already setup, so when I opened the maya scene this is what I saw. A set of geo matching the cliffs, and a moving camera. The camera is timed to match the live footage camera. I think lots of points on the image plane are selected across several frames, then some fancy algorithms and maths figure out how the camera must have moved. I’m sure there’s a lot of work making that just right — “Matchmove Artist” is a job, check the credits on any film with epic special effects! This playblast shows a better view of what’s happening with the camera and image plane. Note: the image plane flickered when I made this playblast. I’ve never had that issue from the shot_cam though. Since everything is setup like this, we can put our creature (Dozer) in the set and animate like normal. 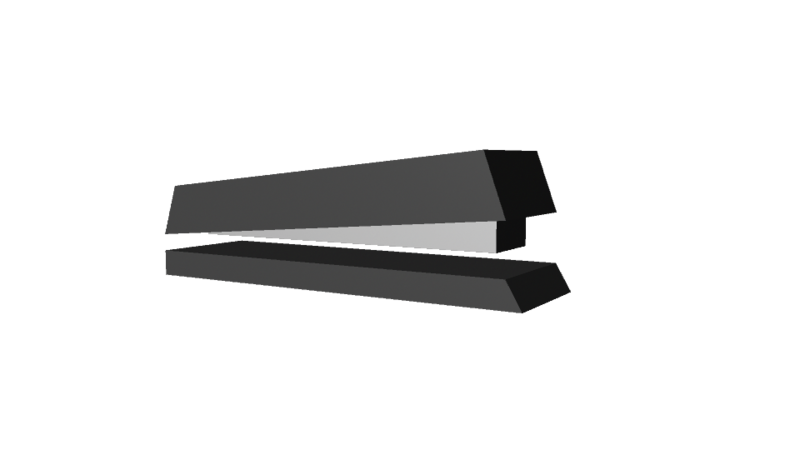 Here is my initial concept, as seen in Maya with the geo and camera from the perspective camera. And here’s what that looks like from the shot_cam. It works. But the solid geo is nowhere near the quality of the live action footage! Here’s what it looks like if we turn off the geo. We can see the image frame nicely, but now Dozer looks pasted on top of everything. We want him to be in the scene, and so we want parts of the image frame to show up in the foreground. The solution is to mask out the geo. Everywhere the geo is, we want to see the background. Maya knows where Dozer is in relation to the geo, so it will handle the depth for us. This type of masking in Maya is done with a “use background” material. That’s it. When you playblast now, you should see your image plane where the geo is. 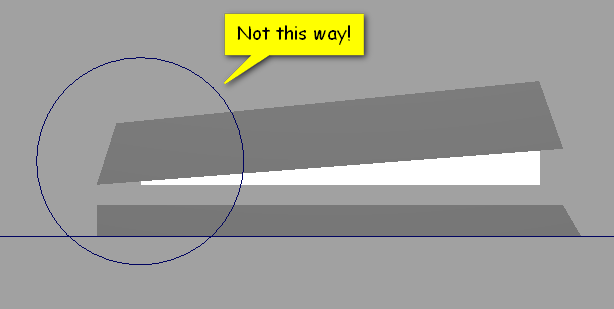 If other objects are behind the geo, then they are masked and you see the image plane. When they are in front of the geo, then you see them in front of the image plane like normal. Animation Mentor is a great school. Last year, in addition to the awesome classes, they ran an anim jam—a chance for students and alumni to animate on a theme and have the results published with all the polish of a professional short. Check out the result! I missed out on taking a collaborative class so it was exciting to hear the anim jam announcement. We were told about the jam concept and that there would be three sets based around a circus theme. The first set opened and was filled quickly—so quickly I was asleep and missed it completely!! The second set went live at a different time of day (yes, Animation Mentor care about timezones and their international community!) so I signed up for shot 2290. What was shot 2290? That was up to me. At AM (Animation Mentor) we are encouraged to think about storytelling. I enjoy coming up with ideas for shots. For inspiration, we had the set design, a set of props and character skins—with a medieval flavour. Got to say, there were some awesome props that were never seen in the final cut, including the trampolines shown above and a super amazing vintage fire engine! Stan flies across into Stewart and both are bowled out of the set. I made a quick animatic and shot some video reference to share the idea with the rest of the set 2 crew. Got a thumbs up (that was pretty much the greenlighting process) and a suggestion that I team up with others to share the workload. I asked for help and Clarissa Amiata volunteered. We tossed some ideas around she agreed to tackle the second half, and suggested having Stan shoot some monster balls for Stewart to dodge (which, as you can see in the final cut, turned out awesome). I shot some initial reference and added to it as needed later on. I especially needed new reference for a jump hookup (added later) and waving the sword around—the cardboard tube in my initial reference was too light. Cricket bat helped! My first blocking passes tackled layout, the walk and turn. I was going for a riff on “pistols at noon” Western thang, so the walk was pretty key. Plus, walk mechanics always need attention, might as well start them early. By the final blocking pass, Stewart’s entrance had been replaced with a jump (I forget why. I think it was feedback I received to add more variety.) and I added some craziness with monster ball making faces. I started blocking on 18 August and finished on 8 September, to give you a rough idea of timeframes. This was all done in my spare time whilst working a regular day job. On 30 September we got some key direction. Our Director (Bobby Beck) had worked out a story cut from all the available shots. Luckily my shot made the cut, mostly because it tied in with other shots story-wise. It also helped that I had been making steady progress. This story cut was the first time we saw the entire “set 2” as one sequence and it was very cool to take that in. Along with this cut came notes: my shot was shortened to make the story stronger—a welcome change that reduced my workload!—and had a new hookup at the start with Patricia Milton’s shot of Pinky in a hula hoop (I love that shot!). I’d never tackled hookups before and our first attempt was amusing! It’s hard for 2 people to animate half a jump and have it work correctly! Everyone worked through their polish and hookups and the results speak for themselves. My shot received additional fix/polish animation from Aaron Johnston and Bobby Beck, with awesome results. I especially love the overlap added to Stan’s body as he pulls out monster ball. It was a great process! Very similar to how we approach our own shots at first, but then we had director advice and shots were cropped and cut together and we had hookups with other animators. Feedback was regular, but different to when peers give you their thoughts in AM—feedback was coming from the lead animator (Sergey Berengard on set 2) and director and it was much more specific on what needed work to get the shot to the required level. Plus there was the overall sense that we were all involved together, which was very neat! Seeing it all lit, rendered and with sound, it’s fabulous. Loved being part of it! It’s fun to compare where an animation shot began and where it ended up. One way to do this is to create a video that plays the different stages side by side. QuickTime Pro can do this, although the menus are a little hidden. Here is how I made it! Open all the videos in QuickTime. Each will open in a separate window. You will need to copy all the videos into a single file. In this tutorial, I’m going to copy them into the reference video. Let’s start by copying the finished shot. Go to the video you want to copy and select all. You can select all by dragging the handles, using ‘Select All’ in the ‘Edit menu, or with the keyboard shortcut: ‘Ctrl+A‘ (Windows) or ‘⌘+A‘ (Mac). Got it selected? Now copy it. You know the keyboard shortcuts for copy? ‘Ctrl+C‘ (Windows) or ‘⌘+C‘ (Mac). 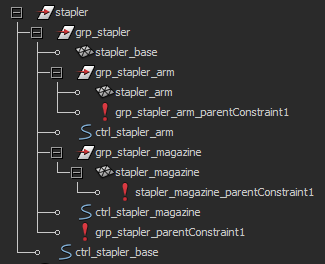 They work in almost every program. 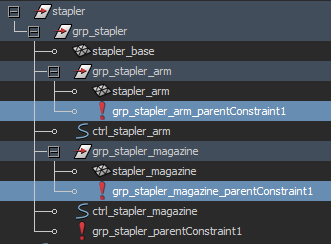 If you like menus, ‘Copy’ is in the ‘Edit’ menu again. 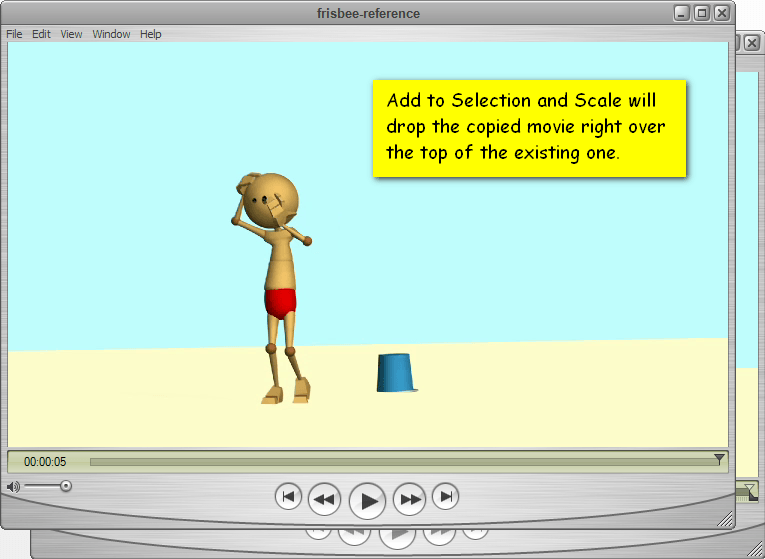 Go back to your first video (the reference video in this example). Do not use paste (anyone know what Paste does?) There’s a fancy option named ‘Add to Selection and Scale’. That’s the one we want. I’m not 100% sure here, but I suspect you want to make sure that (1) nothing in this movie is selected and (2) the movie you are adding is a similar size and length. Otherwise, you might need to tweak this step to suit. The ‘Add to Selection and Scale’ will drop the copied movie right on top of the original one. Wait, that’s not what we want. We’ll need to move it so they are presented side by side. To do that, we need to edit the movie properties (found in the ‘Window’ menu as ‘Show Movie Properties’). Click the second video to select it and go to the ‘Visual Settings’ tab. 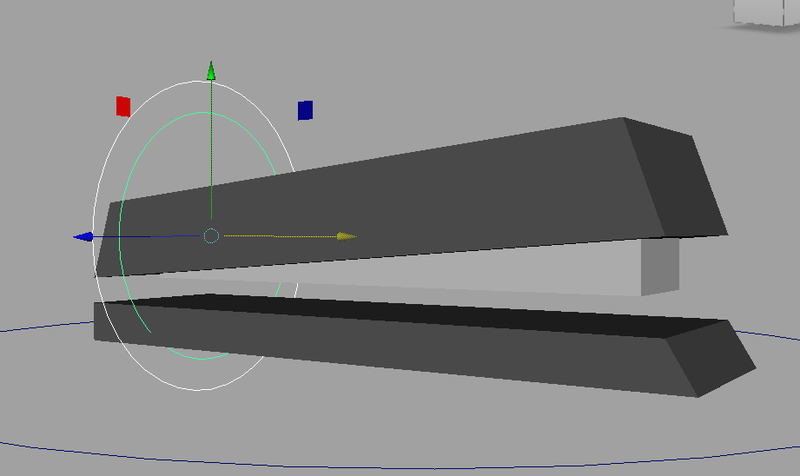 The ‘Offset’ values are how you move the video tracks around in 2D space. 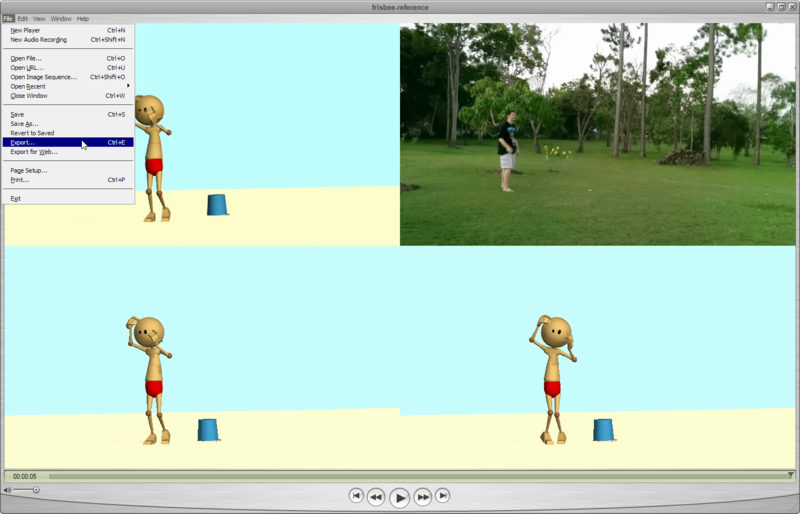 In this example, both videos are 720 × 405 pixels in size. Now, in my example I had the original video (reference) offset on right. We’ll actually need to select ‘Video Track 1’ for that. Let’s offset it 720px from the left. That’s how many pixels we need so we can see all of the other video (it’s 720px wide, so we leave a 720px offset for it). You should see your movie shoot out to twice the size in the background (you may need to press ‘Tab‘ first). Just close the properties box when you’re done. 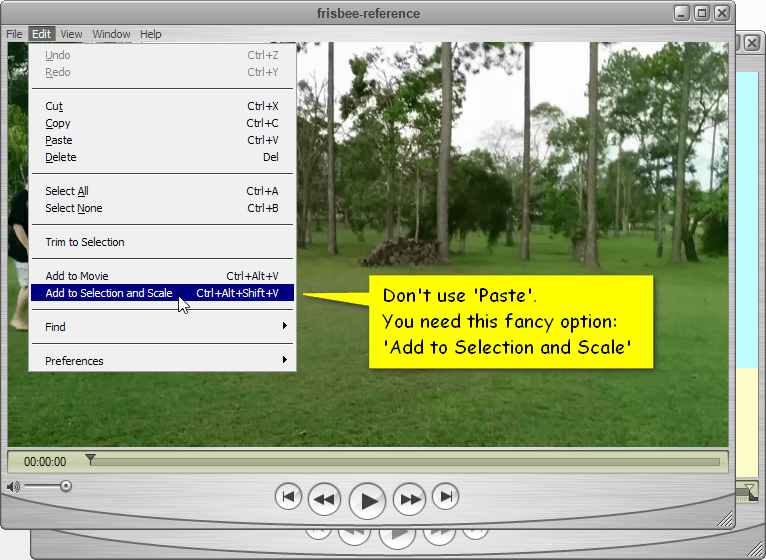 To add the other videos, you need to repeat the ‘Select All’, ‘Copy’ and ‘Add to Selection and Scale’ steps for each video. 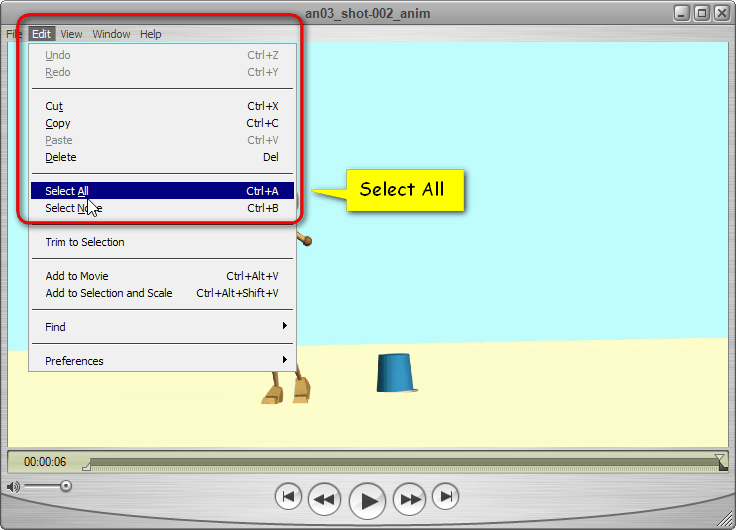 Open the properties and offset the video tracks. 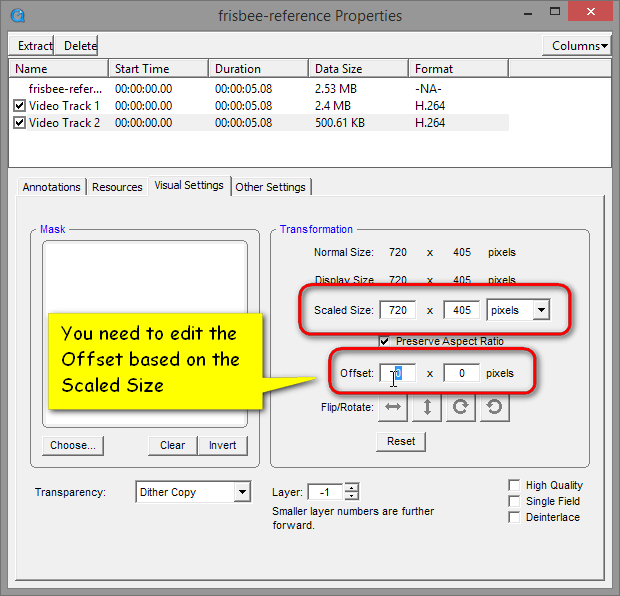 You can do all the copying first and the offsets last, or offset each video as you add it. You can also scale (for insets), flip, make semi-transparent and more. Who knew so much power was tucked away in QuickTime? This tutorial was done with QuickTime Pro 7.7.6 on Windows. The ‘Pro’ version is a paid unlock for the free QuickTime player. Animation Mentor term 2: Body Mechanics! First week of term 2 is posing, then we get into full body walks and really learn body mechanics—how people move. Fascinating stuff. If you catch me staring at you, I’m probably watching your balance and weight shifts and filing it all away for future animating. And if you catch me wobbling about like a bit of a puppet, I’m probably trying to get a feel for some sort of imagined mechanic. All perfectly normal behaviour for an animator—do not be alarmed! Here are the week 2 poses. Oh yeah, new rig: Stella! Posted on 6 October 2014 6 October 2014 Categories AnimationLeave a comment on Animation Mentor term 2: Body Mechanics! When I first opened Maya, I remember looking around and going “yep” and closing it. It was pretty complex software and I had no idea what any of the controls did. Even moving the view around was beyond my ken. I’m pleased to say I can do lots now! (Though I can tell there’s so much more Maya does!) Oh, and moving around: tapping space brings up a nifty menu to switch between the perspective and orthographic views (so glad I studied graphics in high school!) and holding Alt while in perspective view will help with panning, rotating and zooming in the view (when combined with the 3 mouse buttons and mouse movements). So here’s what we got up to over 6 weeks! (I’m shamelessly copying the first 4 weeks from a previous post). 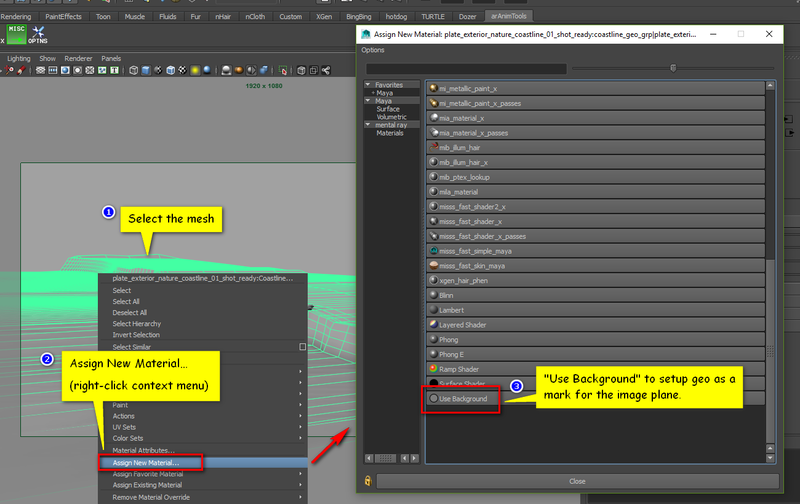 Posted on 12 May 2014 Categories AnimationLeave a comment on Maya Workshop COMPLETE!